I am Mrs Sugden, housekeeper to Mrs Shackleton. (She is the detective Frances Brody writes so much about.) You might know my employer as Kate Shackleton, private investigator. Such informality with names is the modern way, but do not expect me to succumb. I have been employed by Mrs Shackleton since 1919, the year after the Great War ended. She and I are widows, though I have an inkling she has kept on hoping that the wartime telegram, informing her that her husband was missing presumed dead, would turn out to be a mistake. She has not said that to me, of course, but I guessed it from her manner when the postman delivered letters, or when the telephone rang. There would be a tiny change in her, a movement, or a look, as if the sun ever so briefly slid from behind a cloud and lit her eyes. We live in the old lodge that edges a small wood in Leeds, in the West Riding of Yorkshire, in Northern England. I love the little wood. In May, it bursts with bluebells. Children play hide and seek there and act out their shows on a natural stage. At dusk I watch the pipistrelle bats flitting about the trees. But I am sure you want to hear about the famous Mrs Shackleton, lady detective. She started in a small way, helping women trace persons who had gone missing after the upheaval of war. She is persistent, you see, and has a pleasant manner that makes some foolish people underestimate her. But it is not just missing persons. Murder has a nasty habit of happening in the most unexpected places, to the most unlikely people. 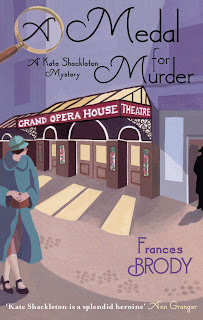 Occasionally, murderers are almost clever enough to get away with it, until Kate Shackleton comes along. I believe some of you avid readers are interested in dressmaking and suchlike. I am something of a seamstress myself. Every week, our local paper features an outfit that is supposedly the height of fashion. This week it was horizontal stripes. Truth to tell, Mrs Shackleton suits most things. Me, I can’t be bothered with fashion. I like to be doing. I have even learned to type so that I can help when Mrs S has a report to write for a client. I am very proud of that. At first I thought my fingers would be too clumsy, but I persevered. Far be it from me to boast, but there is more to me than my soup-making skills. ‘Is there a man in Mrs Shackleton’s life?’ an impertinent creature once asked me. I gave short shrift I can tell you. It is said no man is a hero to his valet. I suppose you might think no woman is a heroine to her housekeeper. My lips are sealed. Believe you me, Mrs Hudson would have told that person to sling his or her hook, and so would I. There is such a thing as discretion. Discretion and plain-speaking stand side by side for me. What human traits do you highly regard? I ask because the world has turned upside down in my lifetime. But I better not climb on the soapbox, or I will wear out your ears. Sounds like interesting characters! Would love to win a copy. 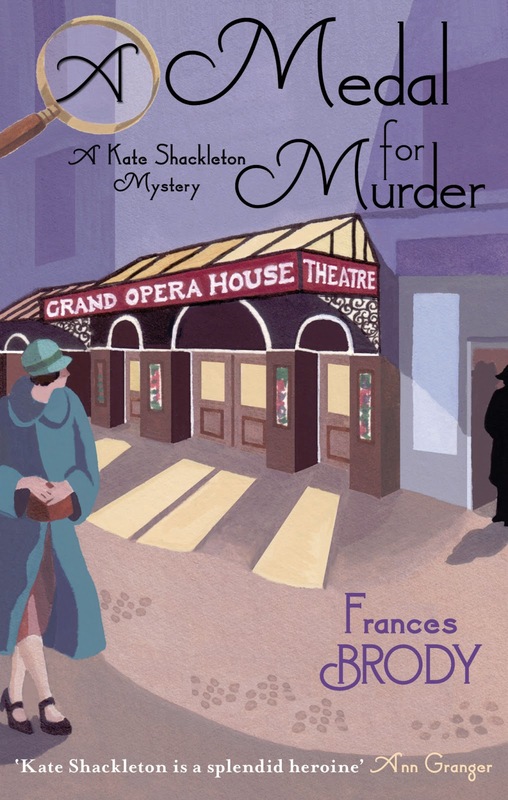 An English mystery set after WW I with an interesting cast of characters. I would love to win a copy but in the event I don't, it will be one on my list of books to buy. oh please enter me for this giveaway!!! a definite add to my Wish List!!! After living in England for 5 yrs, I love English mysteries even more so. I'd love to win this book, if not I will be buying it ASAP. Wow this looks like a really good book. Can't wait to read it. This author is new to me . I've never read this series but it sounds interesting. This is a new series to me, but it sounds fascinating. Would love to win a copy! This sounds like a wonderful read. And I would love to win a copy. Thank you very much for the chance! From Terry Parrish. I am fascinated by the 1920s. What could be better but a mystery set in those years? I have read this series and would love to own Dying in the Wool. It is a unique time period; the horrors of the war followed by an enormous change in life styles. Kate is a smart compassionate woman and you will root for her to find her happy ending. This time period between the wars has fascinated me for years---and a good mystery is always fun to read. Please enter me in the drawing. Oh, this sounds wonderful. Will definitely add to my list to read. Just fabulous!! I have a high regard to loyalty, honor and respect. Sounds like a good series. I am eager to get started reading. Goodafternoon mrs. Sugden, thank you for the nice story. I applaud you for keeping your employers secrets and such confidential. I keep loyalty in high regard, along with honor and truthfulness. I am looking forward to reading about you and your employer and the lovely English countryside. I love this time period in Historical Fiction and I also love women detectives. 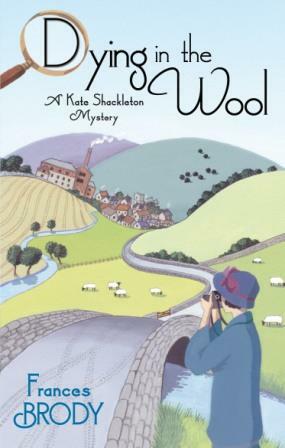 I would be very pleased to read about Mrs.Sugden and her employer, Kate Shackleton.